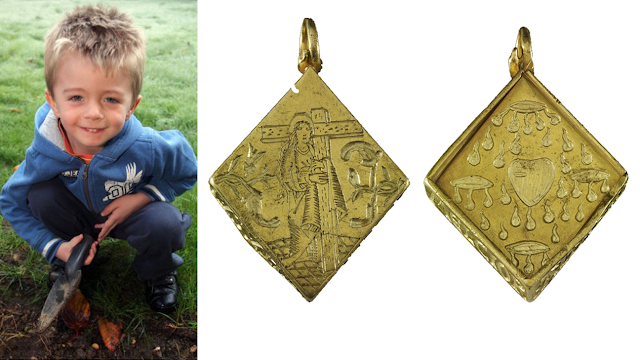 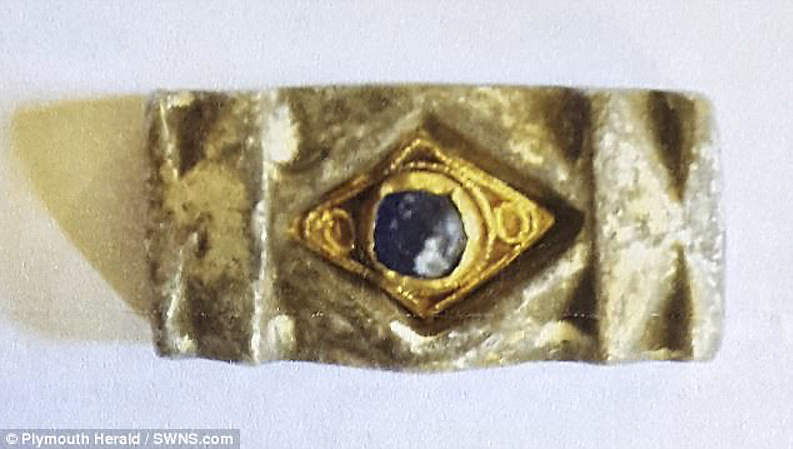 Mr. Peter Fergus from Devon discovered this unique artifact, which was officially declared a treasure. 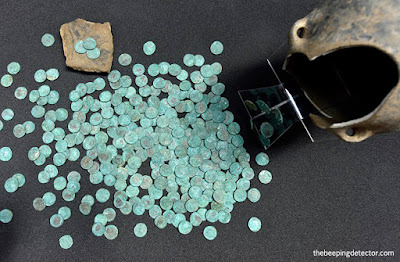 Dating between the sixth and 11th centuries, nothing alike has been found before. 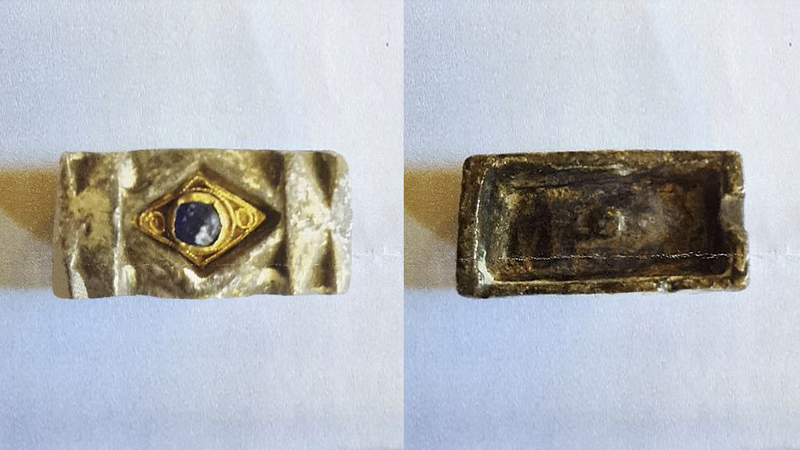 Decribed as a very small lid of a gilded silver box with dimentions of 30mm (1.2") long, 15mm (0.6") wide, 8mm (0.3") high and weighs 11.29g (0.4oz). 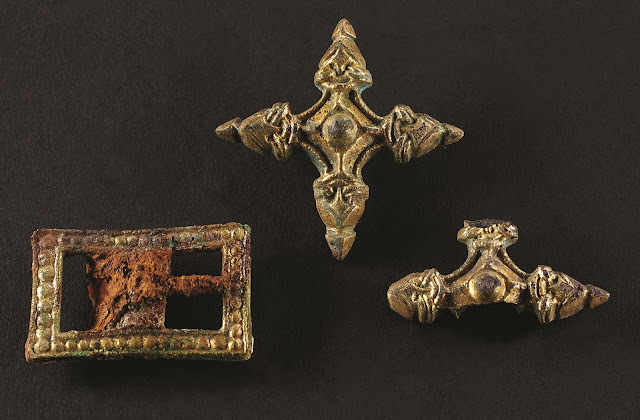 Experts believe boxes like these were used to protect physical remains of religious figures or saints, such as bones, pieces of clothing, or other objects like a piece of a holy cross. 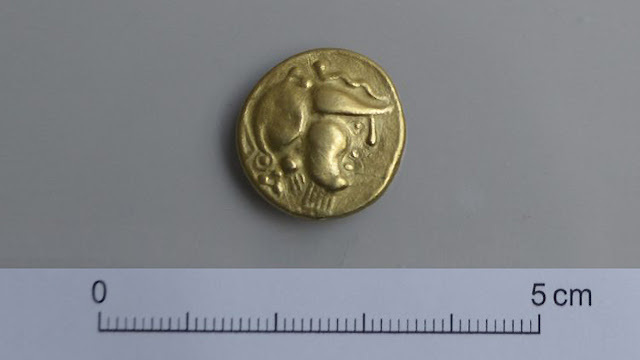 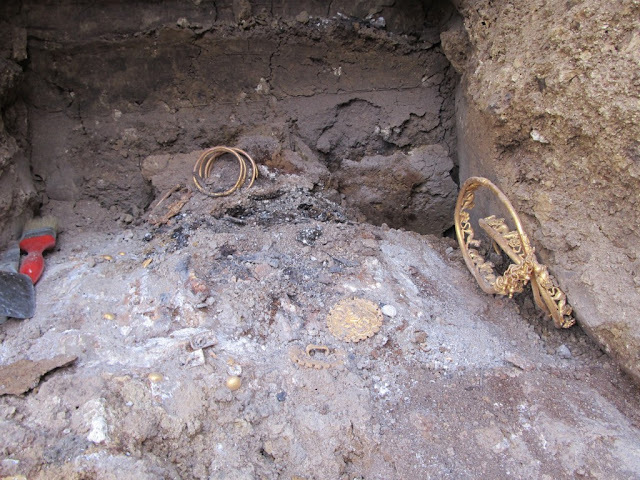 The item was unearthed around nine inches (23cm) in the ground on farmland at nearby Wembury.